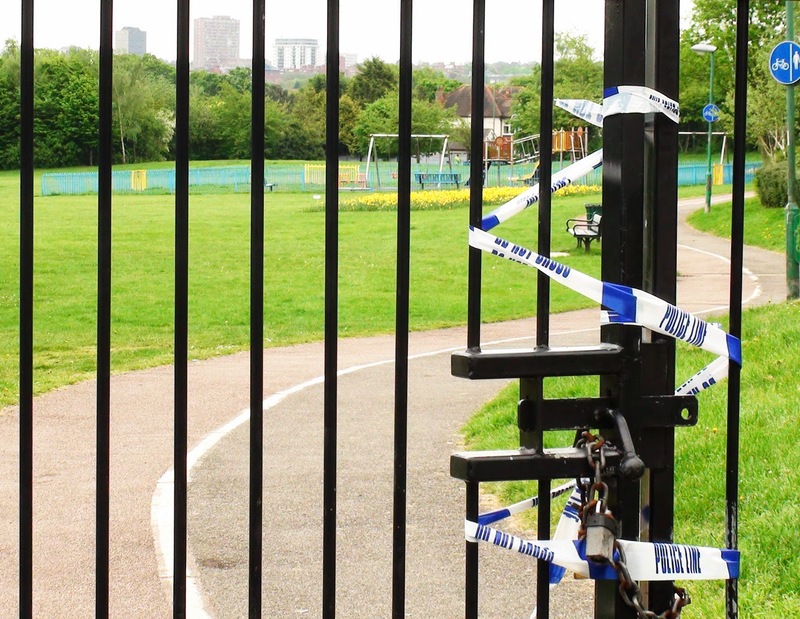 Fairlands Park next to Sainsbury's in North Cheam was closed off by the Police this afternoon so they could try to solve a mystery crime. 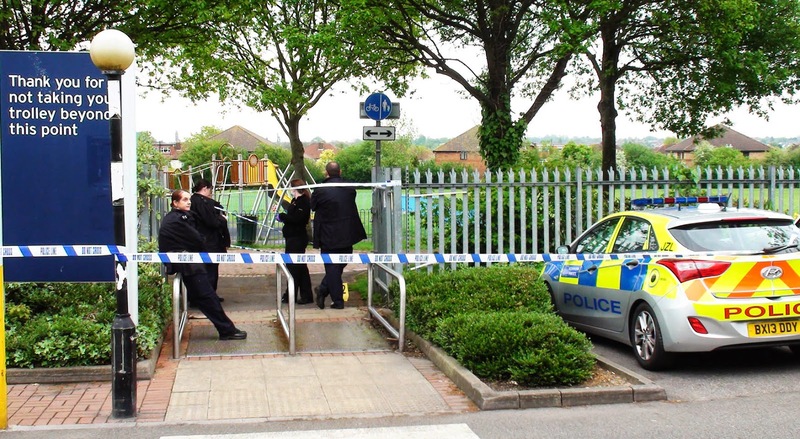 At least half a dozen police were gathered behind a cordon at the entrance off the Sainsbury's car park. The police were rather less than keen to disclose why they were there or what they were looking for but they were from New Scotland Yard so it was reasonably serious although apparently not super serious. It seems it was a new investigation and not one related to an existing investigation, at least not one known to the public. It did also look as if a forensics team was working there. If I hear and more news I'll pass it on. Thanks to one blog reader who has mentioned that they were in the park when this happened and were asked to leave. Apparently they were told that the police were probably going to pull something out that would be upsetting for the kids to see but wouldn't say what. The police apparently have found something that would have upset the kids had they seen it. However contrary to much speculation, it is apparently not a dead body. The park will remain closed (with police guards) overnight and the work will continue in the morning. The park should hopefully be open again later tomorrow. Don't read this while eating or if you're particularly squeamish... The item in question was (as has also been speculated) a finger. However (and this is the rather yucky bit) the finger was apparently caught it in the spiked fence while the owner was trying to climb over and fell, causing the skin and flesh to be pulled off the outside leaving just the bone - a process which has been described as being 'de-gloved'. The finger could not be saved so it is assumed the remaining bone had to be removed by the hospital. The park was closed after the finger was discovered by a young girl with her mother. The owner, a 42 year old man came forward and told police it was his and that he had lost it one night about a week earlier. See also the Sutton Guardian story. The park has now reopened. For those of a morbidly voyeuristic nature who would like to see a picture of the hand without the finger, someone has posted a picture here. There is also a discussion which seems to reveal the identity of the finger's owner who (according to discussion) was apparently so drunk at the time he couldn't remember what had happened.